Katheryn Elizabeth Hudson was born on October 25, 1984 in Santa Barbara, California. She was raised by Christian pastor parents, Perry grew up listening to only gospel music and sang in her local church as a child. After earning a GED during her first year of highschool, she began to pursue a career in music. 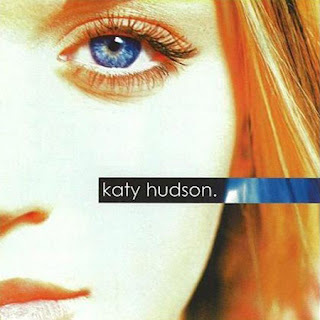 As Katy Hudson, she released a self-titled gospel album in 2001, which was unsuccessful. She later recorded an album with production team The Matrix and completed the majority of a solo album from 2004–5, neither of which were released. After signing with Capitol Music Group in 2007, her fourth record label in seven years, she adopted the stage name Katy Perry and released her first Internet single "Ur So Gay" that November, which garnered public attention but failed to chart. She rose to fame with the release of her second single "I Kissed a Girl" in 2008, which went on to top international charts. Perry's first mainstream studio album One of the Boys followed later that year and subsequently, became the thirty third-best selling album worldwide of 2008. Her sophomore studio album Teenage Dream was released in August 2010 and debuted at number one on the Billboard 200.Perry was credited as a guest judge on the seventh series of British television show The X Factor; has released a fragrance called "Purr"; and will appear in the upcoming 2011 film The Smurfs. Perry had a long relationship with Travie McCoy; she married British comedian Russell Brand on October 23, 2010. She has stated that her musical influences are: Alanis Morissette, pop rockers Cyndi Lauper, Pat Benatar, Joan Jett, Shirley Manson, and Freddie Mercury, the late frontman of the British band Queen. Katy Hudson is Katy Perry's debut album, released on October 23, 2001. As you may notice Katy at the time was using her birth name. This would be her only gospel rock album before she made the switch to mainstream pop music. Hudson is credited as an author of four songs on the album and as a co-author on the remaining six. "Trust in Me" was the lead single. The album received a favorable review from Russ Breimeier of Christianity Today, who applauded her voice and songwriting and called her "a remarkable young talent emerging, a gifted songwriter in her own right who will almost certainly go far in this business". Production and distribution of the album ceased after Red Hill Records folded at the end of 2001. Copies of the CD, which are very rare, are sometimes sold on eBay. The album didn't chart and no singles charted either. 10-) When There's Nothing Left. One of the Boys is Katy Perry's second studio album (and the one which shot her to fame), released on June 17, 2008. It was released by Capitol Records. Perry has stated that she had been working on the album since she was eighteen years old. During the making of the album Perry was dropped from two record labels and went through two canceled albums. During this time, Perry had written close to seventy songs. Perry collaborated with notable producers Greg Wells, Dr. Luke, Dave Stewart, and Max Martin among others on the album. Perry co-wrote every song on the album as well as writing three of the songs herself. Although Perry's musical style and way of composing ironic and bawdy songs has been heavily compared to the style of singers Avril Lavigne and Lily Allen, the singer was actually influenced by artists and bands like Queen (Freddie Mercury in particular), The Beach Boys, Heart, Joni Mitchell, Paul Simon, Cyndi Lauper and Alanis Morissette.The album peaked to #9 in the U.S. (Platinum disc) and #11 in the U.K. (Platinum disc). This album spawned the following singles: The Cathy Dennis composition, I Kissed a Girl (#1 U.S., #1 U.K.), Hot n Cold (#3 U.S., #4 U.K.), Thinking of You (#29 U.S., #27 U.K.), and Waking Up in Vegas (#9 U.S., #19 U.K.). 1-) One of the Boys. 2-) I Kissed a Girl. 3-) Waking Up in Vegas. 8-) If You Can Afford Me. Teenage Dream is Katy Perry's second and so far last studio album, released on August 24, 2010. At the 53rd Grammy Awards, Teenage Dream was nominated for Album of the Year and Best Pop Vocal Album. Lead single "California Gurls" was nominated for Best Pop Collaboration with Vocals with title-track and second single "Teenage Dream" nominated for Best Female Pop Vocal Performance. The album also won International Album of the Year at the Juno Awards of 2011. She has also stated that the album is inspired by ABBA and The Cardigans. The album charted to #1 in the U.S. (Platinum disc) and #1 in the U.K. (2x Platinum discs). The following singles were released: California Gurls (#1 U.S., #1 U.K.), Teenage Dream (#1 U.S., #2 U.K.), Firework (#1 U.S., #3 U.K.), E.T. (#1 U.S., #3 U.K.), and Last Friday Night (T.G.I.F.) (#31 U.S., #24 U.K.). 2-) Last Friday Night (T.G.I.F.). 7-) The One That Got Away. 9-) Who Am I Living For? 12-) Not Like the Movies. Katy Perry named “The Hottest Woman of 2013?